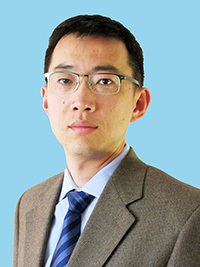 Dr Liang Zhang received his Bachelor of Medicine (MD equivalent) degree in 2001 with honor from Peking University Health Science Center in Beijing, China. He obtained his PhD degree from the University of Iowa and his PhD research was on delineating the cellular mechanisms that determine the transduction efficiency of adeno-associated virus (AAV) in normal epithelia and cancer cells, under the supervision of Dr John Engelhardt. He performed his postdoctoral training in the laboratory of Dr Jeffrey Wrana on dissecting the signaling mechanisms of cancer metastasis, at the Lunenfeld-Tanenbaum Research Institute in Toronto, Canada. To investigate the signaling networks that function in response to exosomes and Wnts to promote migration and metastasis of cancer cells. To dissect the molecular machineries that facilitate the biogenesis and function of pro-metastasis exosomes. To delineate the molecular mechanisms underlying exosomal association of Wnts, which are essential signaling proteins implicated in development and cancer. Overall these projects aim to elucidate of the molecular and signaling mechanisms that underlie the function of exosomes in cancer-stroma crosstalk. The outcomes will help exploit the full potential of exosomes to discover non-invasive biomarkers of cancer and other human diseases. In addition, we expect our research to open new windows for designing innovative exosome-based bioengineering and clinical applications.